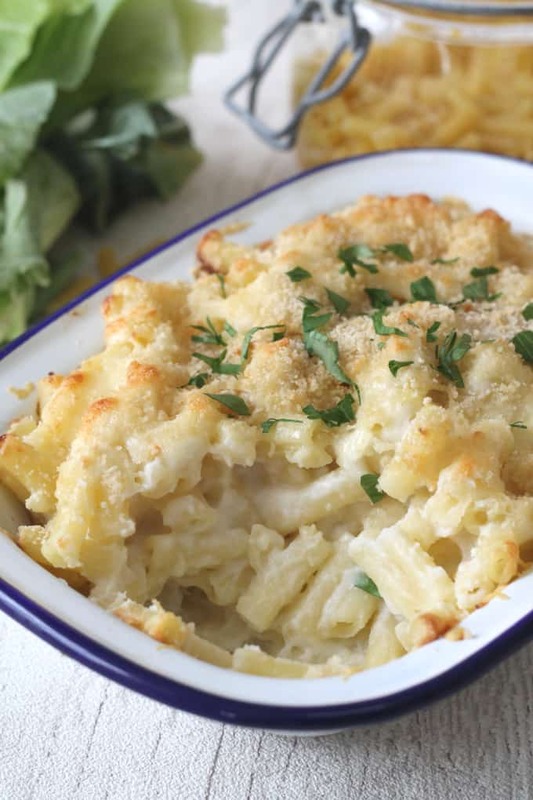 Classic Mac ‘n Cheese made with a secret veggie cauliflower sauce. Vegan friendly! 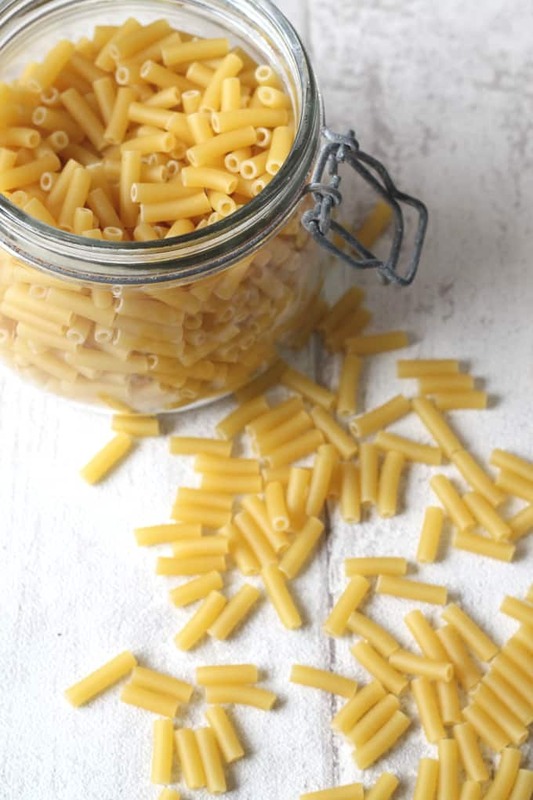 Hands up if you have a pasta loving veggie hating fussy eater. Ok great, it’s not just me then! My fussy little eater is literally obsessed with pasta in every shape in size. She would eat it for all three meals a day if I let her BUT she gets so annoyed when I dare to taint her favourite meal with some veggies. How rude of me! So we now play the “hide the veggies” game with most of her pasta dinners. I try to secret squirrel in some form of veg into her meal. She, on constant look out for offending vegetables, picks out any bit of green or goodness she can find. Oh what fun! Thankfully all that has ended now that I have discovered the delights of Creamy Cauliflower Sauce. If you’ve not seen my previous post about my favourite new sauce have a look here. 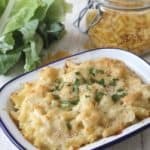 This Macaroni Cheese with Secret Cauliflower Sauce is so so good and my fussy eater couldn’t get it into her quick enough when I served it last week. 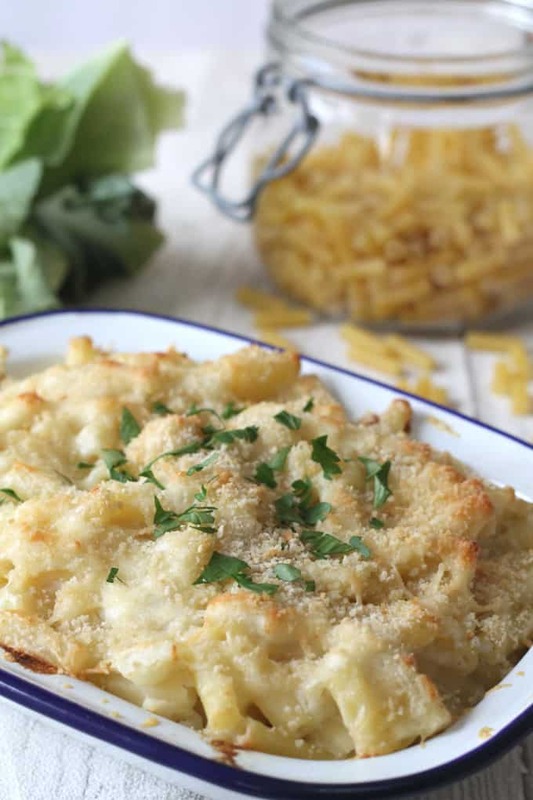 Mac ‘n Cheese is so versatile. 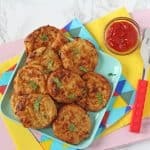 I made the classic recipe here but you could also add some chicken or bacon for extra protein and any veg that your own fussy eaters will tolerate. 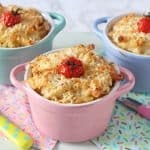 I used normal cheese in this but you could try dairy free cheese to make a vegan friendly version. 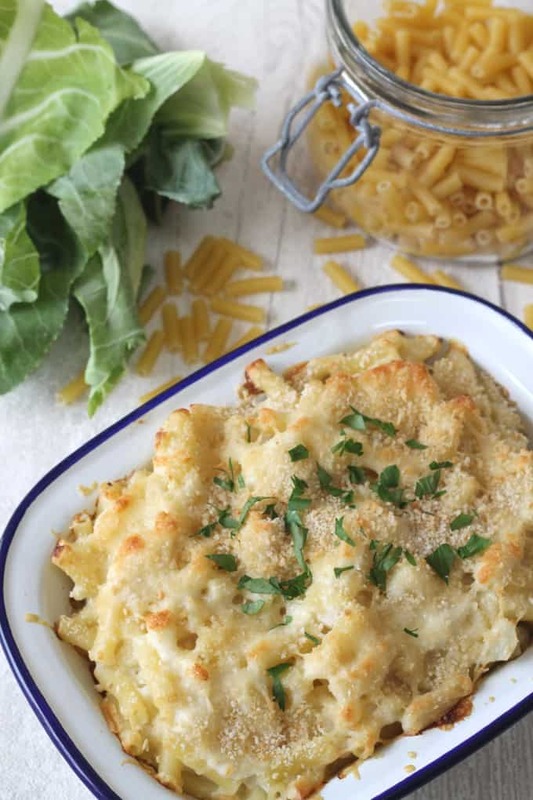 Or even leave out the cheese altogether, and just enjoy it as a Creamy Pasta Bake. The options are endless! Do you have any other sauce recipes that you use to secretly get some veg into your kids? I think I need to have more of these up my sleeve! Cook the macaroni according to the package instructions. 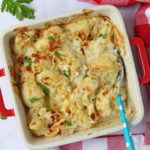 When cooked, drain the pasta, mix in the cauliflower sauce and add half the cheese. 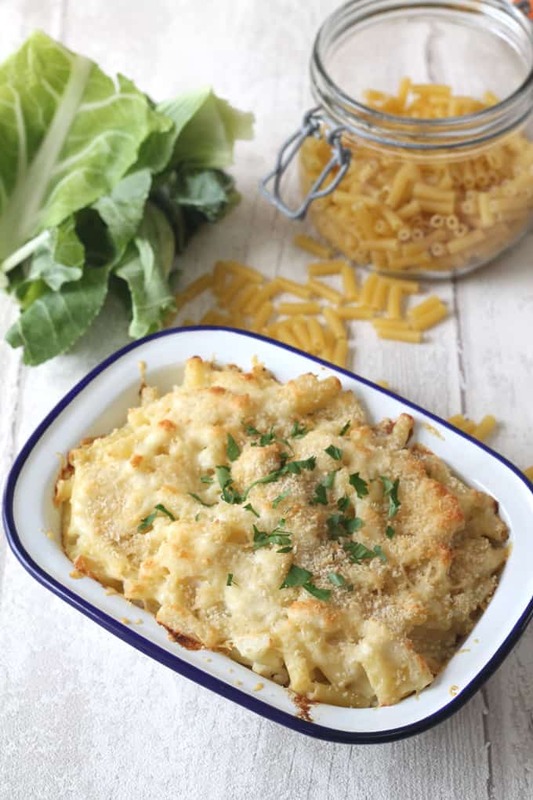 When thoroughly mixed transfer the pasta to an oven proof dish and top with the remaining cheese and breadcrumbs. Bake in the oven for 12-15 minutes until the breadcrumbs are golden brown. I was worried my daughter would notice the cauliflower but she really enjoyed this and it was nice to know I was getting some sneaky veg into her without any fuss.